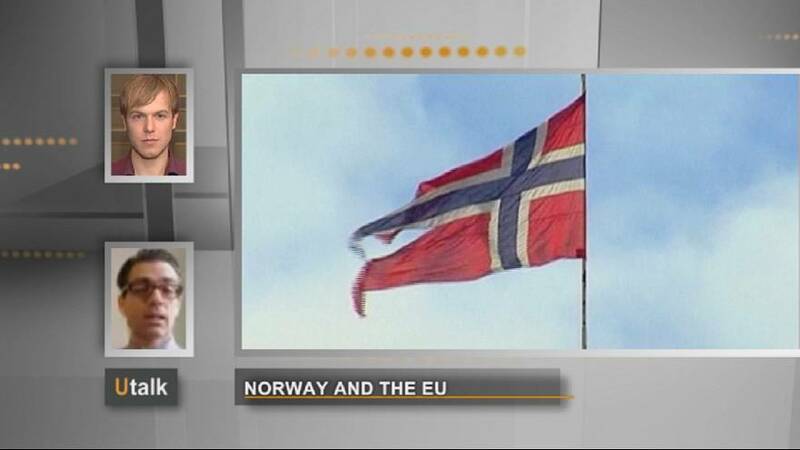 Why isn't Norway in the EU? “But we must immediately say that economically, Norway is already part of the EU Internal Market. The question may be a bit misleading: in fact, we are strongly integrated in the European Union, even if we are not members. “Economically, we are equal with other member states, through the Agreement on the European Economic Area, the so-called EEA. Since 1994, Norway has participated fully in the Internal Market. “We take part in several EU programs, such as the research program. Norwegian students are also involved in the Erasmus programme. We contribute financially to the programme. If you would also like to ask a question on U talk, click on the ‘Participate’ button below.